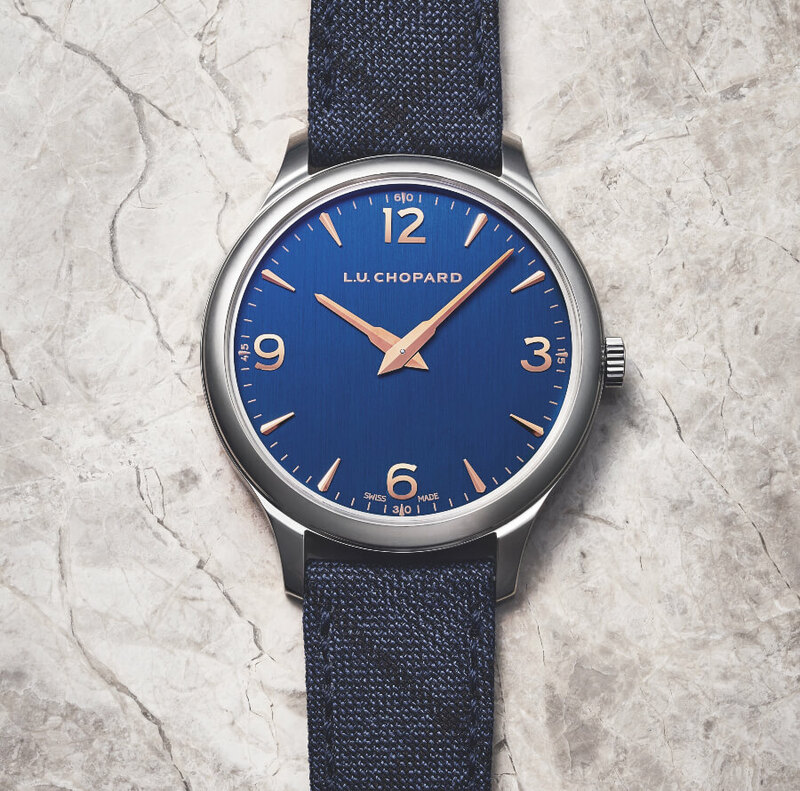 Elementary without being basic, devoid of artifice and yet brimming with contrasts, the new Chopard L.U.C XP timepiece embodies the purity of design that characterises the L.U.C. collection. Its natural, casual elegance lies in the details. The texture of its dial, the virgin wool of its strap, the brilliance of its hour-markers, along with its slender shape, all reflect the tradition of Savile Row tailors. 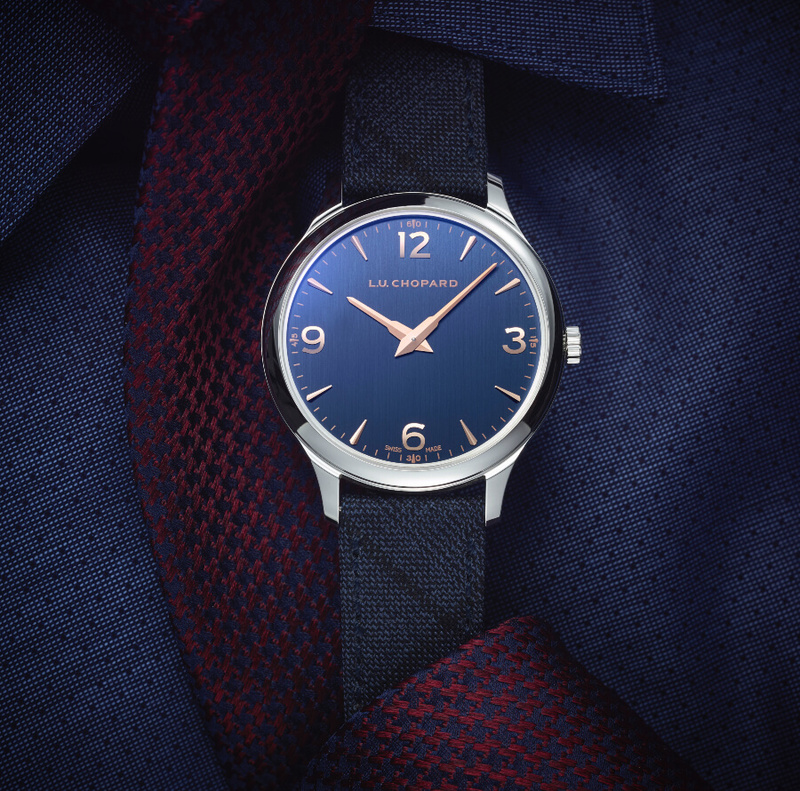 For the contemporary gentleman, Chopard L.U.C XP is like a blue cashmere flannel suit, worn with a Sea Island cotton shirt and an Ancient Madder tie: a modern classic for men of taste. L.U.C. watchmaking is the sum of details, all of which must be perfectly thought out and executed, without the work involved being felt. This is how the natural elegance of L.U.C XP is expressed, and this timepiece takes its place on the wrist as if it had been made to measure. An extension of the Savile Row spirit that underlies L.U.C. 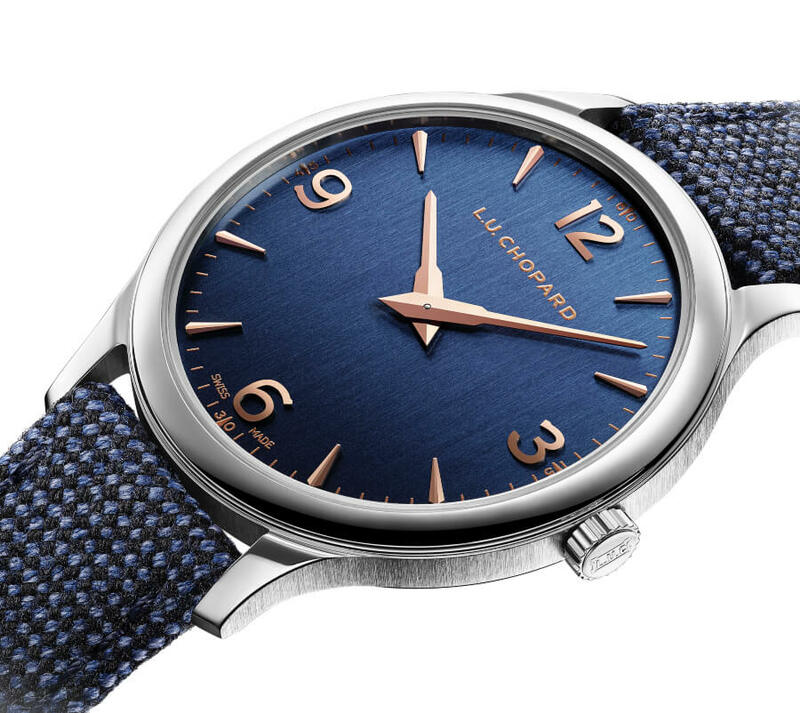 creations, the search for perfect proportions and a perfect fit are conveyed through the lines of the Chopard L.U.C XP steel case. With its 40 mm frame, it suits all wrist sizes. At only 7.2 mm thick, it is an ideal match for every well-dressed man’s wardrobe: a cotton poplin or linen shirt, whether lightweight or 8-thread knit, as well as short or long-sleeved polo shirt. 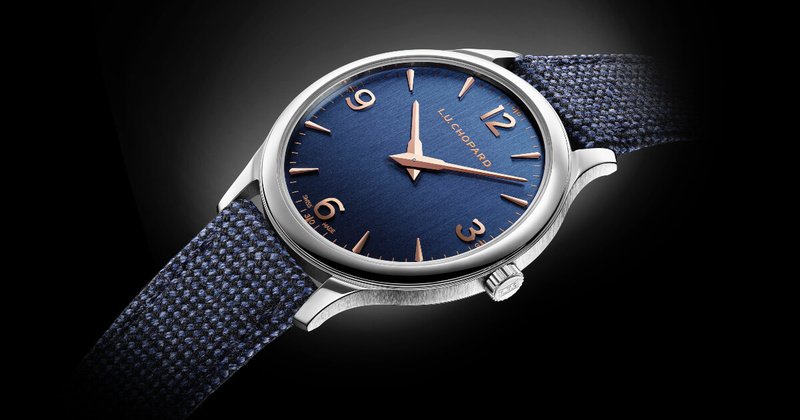 The Chopard L.U.C XP also expresses itself through its assertive character. 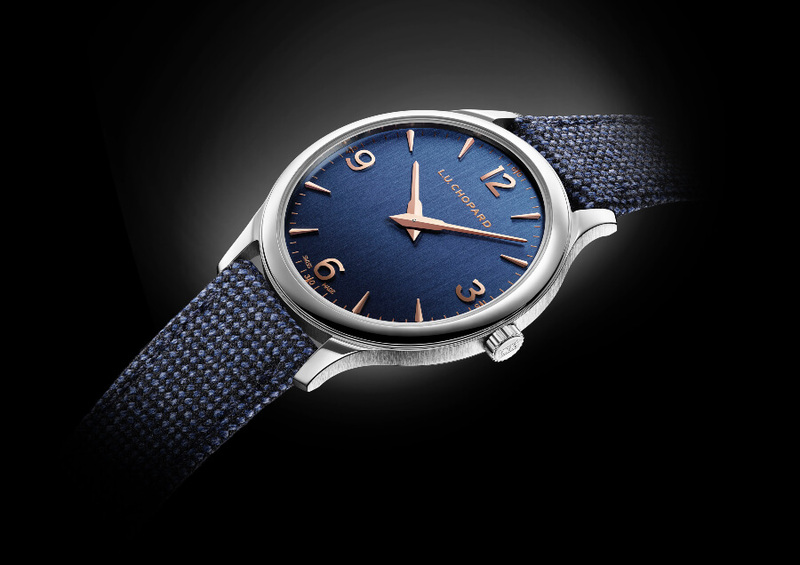 There is something nonchalant about this intense blue dial, whose depth is enhanced by the texture of its surface. Deeply satin-brushed, it adopts a modern matt finish, while the applied hour-markers, two hands and Arabic numerals shine with a delightfully warm glow. Thus, apparently stripped down yet endowed with a wealth of substance, the L.U.C XP dial both deceives and delights the eye, like a semi-plain fabric, a miniature houndstooth motif, a tone-on-tone Prince of Wales check. For the third consecutive year, Chopard is presenting a timepiece from its couture capsule collections. L.U.C XP comes fitted with a merino wool strap, made from a breed of sheep renowned for the finesse of the yarn it produces. In addition, a cognac alligator leather strap with brown alligator lining is included. 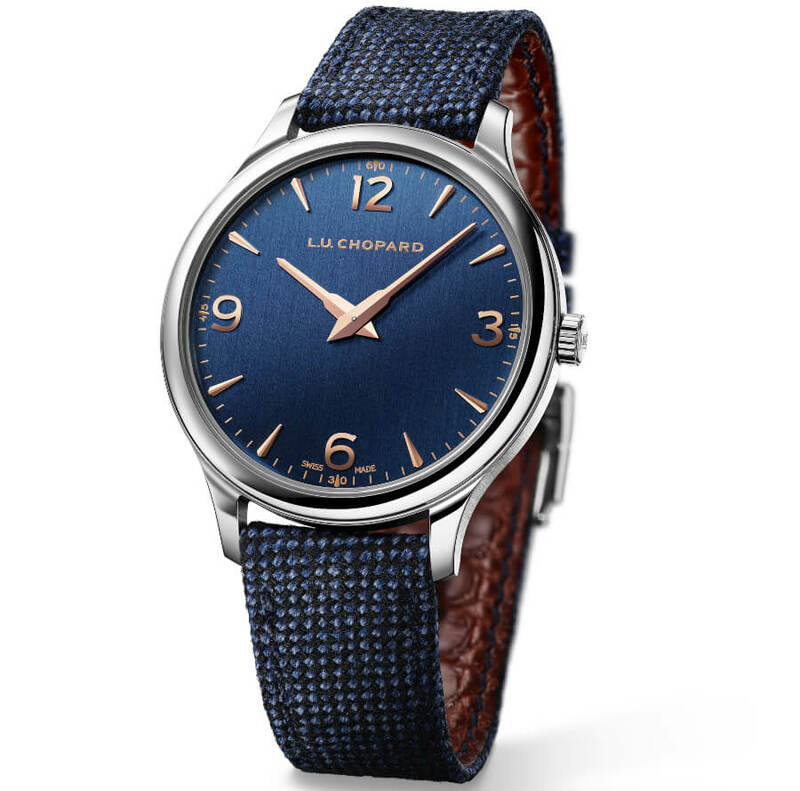 Dyed in deep blue, the braided fabric is a natural follow-on from the blue cashmere strap launched in 2017 on a previous L.U.C XP model and the embossed leather one introduced in 2018 with the L.U.C Quattro (read more about here). 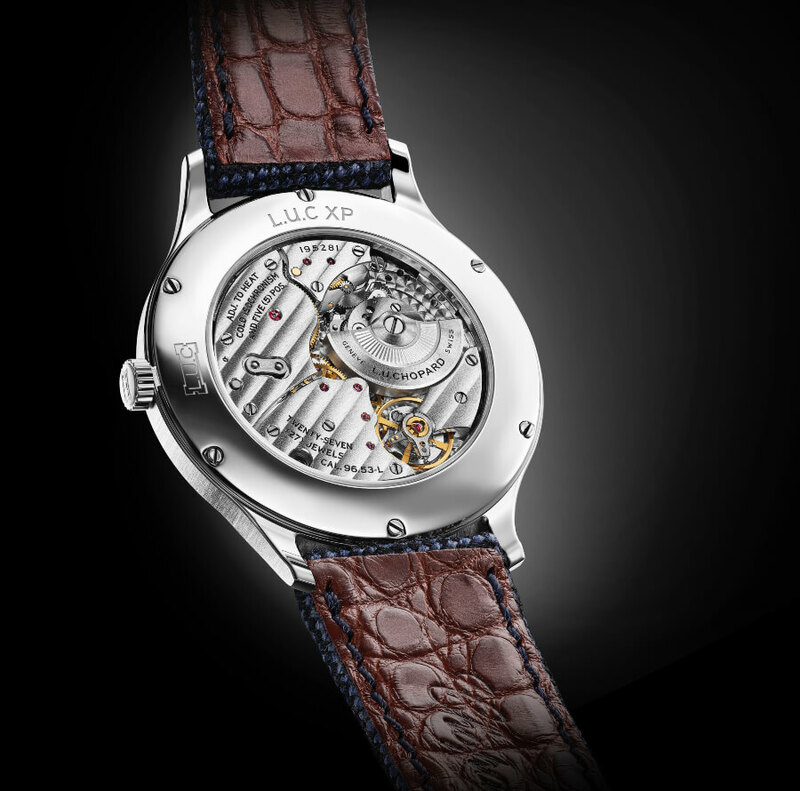 L.U.C XP is equipped with an ultra-thin L.U.C Calibre 96.53-L, a movement finished in accordance with the high standards upheld by Chopard Manufacture. Its automatic winding is carried out by an engraved tungsten micro rotor, the substantial weight of which optimises the winding power. 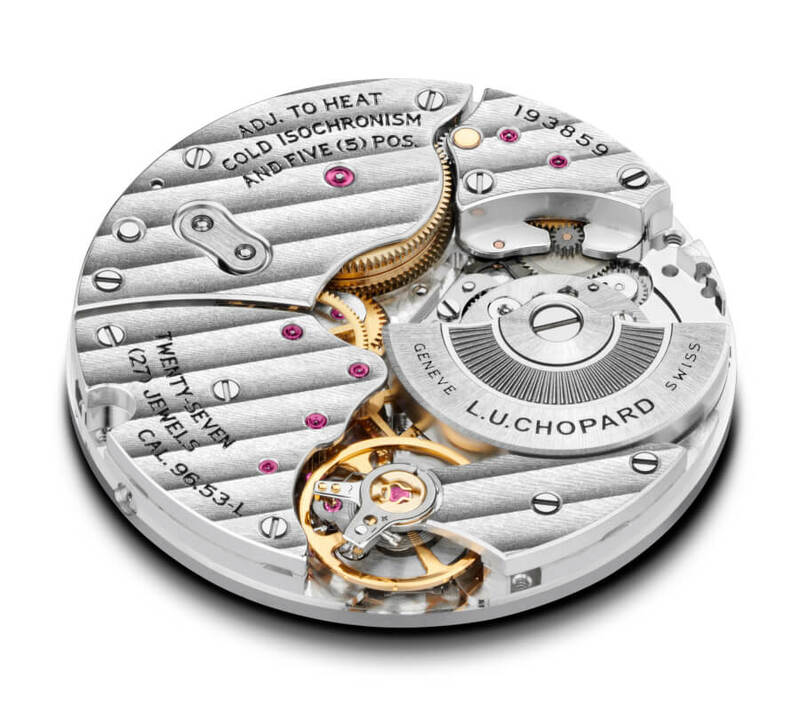 It feeds two superposed barrels, based on Chopard's patented Twin architecture. Together, they guarantee the L.U.C XP a generous 58 hours of autonomy. 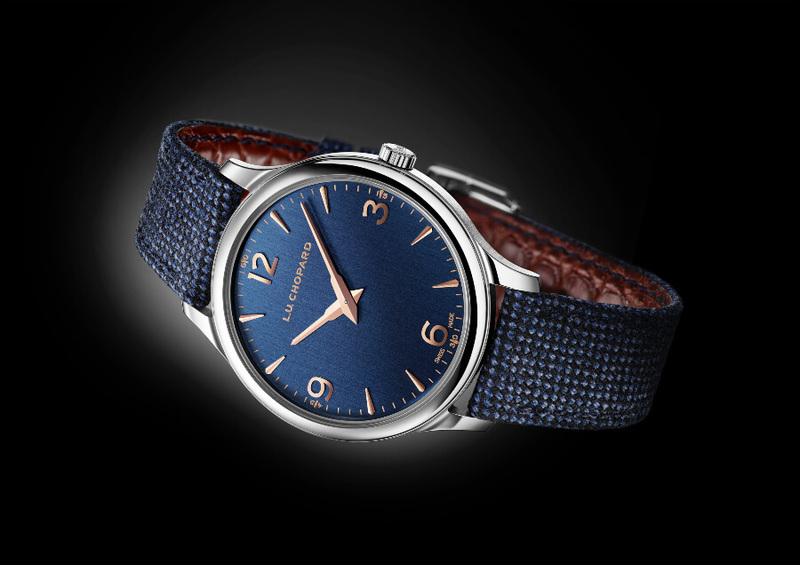 The price for the Chopard L.U.C XP Ref. 168592-3002 is CHF 8,550/ $8,810/ Euro 8,100.